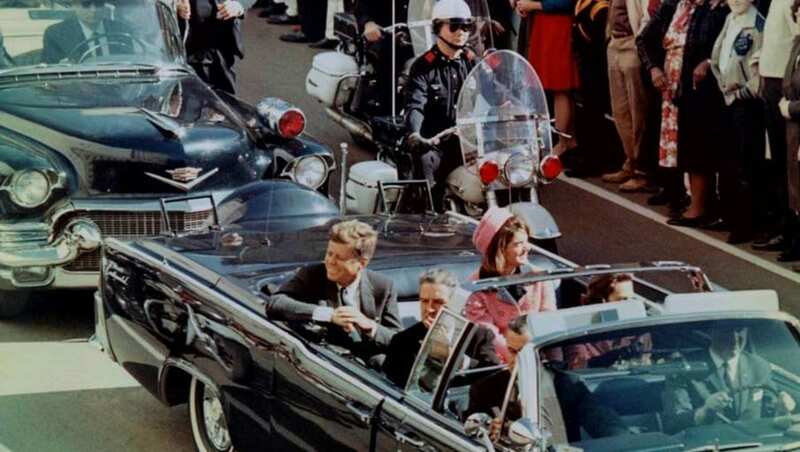 The JFK assassination has lead to so many conspiracy theories & plenty of movie Trivia as well. US President Donald Trump has ordered the release of 2,800 files on President John F Kennedy’s assassination. But he blocked the release of other files, citing national security concerns. A 1992 law passed by Congress required all records related to the assassination – around five million pages – to be publicly disclosed in full within 25 years. The deadline was yesterday Thursday 26th October 2017. John Fitzgerald Kennedy served as the 35th President of the United States from January 1961 until his assassination in November 1963. Texas Governor John Connally, who was sitting in front of the president, was wounded. Police officer JD Tippit was killed shortly afterwards. Lee Harvey Oswald was arrested and charged with killing Kennedy and Tippit, but he denied this, saying he was “just a patsy”. On 24 November, Oswald was shot dead in the basement of the Dallas police department by Jack Ruby, a local nightclub owner. Some people suggest there may have been a second shooter, while others say it is more likely the fatal shot came from in front of Kennedy and not behind. A paraffin test on Oswald’s cheek after he was arrested suggested he hadn’t fired a rifle, although the test’s reliability has been questioned. Trump’s decision to keep some documents secret is likely to keep conspiracy theories alive, fuelling those who have long questioned official conclusions about the assassination and argued that the government has helped cover up the truth. The US government released over 2,800 records Thursday night in an effort to comply with a 1992 law mandating the documents’ release, but kept roughly 300 files classified out of concern for US national security, law enforcement and foreign relations. In a memo, Trump directed agencies that requested redaction to re-review their reasons for keeping the records secret within 180 days. The White House did not receive all the requests from the US intelligence and law enforcement agencies until the last-minute. That left Trump’s aides scrambling to funnel all of the information to the President, who had only a few hours to decide how to proceed. The Kennedy assassination have said they do not expect the documents to reveal any bombshells or to contradict the conclusion that Lee Harvey Oswald was solely responsible for killing Kennedy. The documents could also shed new light on Oswald’s mysterious trip to Mexico City weeks before the assassination. And what the Russians thought of the assassination. The files could also reveal new details about US involvement in attempts to assassinate Cuban President Fidel Castro. The JFK files will be published online here. Please read through what you can and share your thoughts on your interesting finds.